For enhanced safety, the front and rear seat shoulder belts of the Mercedes S-Class are height-adjustable to accommodate a wide variety of driver and passenger heights. A better fit can prevent injuries and the increased comfort also encourages passengers to buckle up. The Maserati Quattroporte has only front height-adjustable seat belts. The S-Class has standard NECK-PRO Active Front Head Restraints, which use a specially designed headrest to protect the driver and front passenger from whiplash. During a rear-end collision, the NECK-PRO Active Front Head Restraints system moves the headrests forward to prevent neck and spine injuries. The Quattroporte doesn’t offer a whiplash protection system. The S-Class offers an optional PRE-SAFE Brake, which uses forward mounted sensors to warn the driver of a possible collision ahead. If the driver doesn’t react and the system determines a collision is imminent, it automatically applies the brakes at full-force in order to reduce the force of the crash or avoid it altogether. The Quattroporte doesn't offer crash mitigation brakes. The S550 has all wheel drive to maximize traction under poor conditions, especially in ice and snow. The Quattroporte doesn’t offer all wheel drive. The Mercedes S-Class has Daytime Running Lights to help keep it more visible under all conditions. Canadian government studies show that driving with lights during the day reduces accidents by 11% by making vehicles more conspicuous. The Quattroporte doesn’t offer Daytime Running Lights. An active infrared night vision system optional on the S-Class helps the driver to more easily detect people, animals or other objects in front of the vehicle at night. Using an infrared camera and near-infrared lights to detect heat, the system then displays the image on a monitor in the dashboard. The Quattroporte doesn’t offer a night vision system. The S-Class’ optional lane departure warning system alerts a temporarily inattentive driver when the vehicle begins to leave its lane and gently nudges the vehicle back towards its lane. The Quattroporte doesn’t offer a lane departure warning system. The S-Class’ optional blind spot warning system uses digital cameras monitored by computer to alert the driver to moving objects in the vehicle’s blind spots where the side view mirrors don’t reveal them and moves the vehicle back into its lane. The Quattroporte doesn’t offer a system to reveal objects in the driver's blind spots. The S-Class (except S400 Hybrid)’s driver alert monitor detects an inattentive driver then sounds a warning and suggests a break. According to the NHTSA, drivers who fall asleep cause about 100,000 crashes and 1500 deaths a year. The Quattroporte doesn’t offer a driver alert monitor. Both the S-Class and the Quattroporte have standard driver and passenger frontal airbags, front side-impact airbags, head airbags, front and rear seatbelt pretensioners, height adjustable front shoulder belts, four wheel antilock brakes, traction control and electronic stability systems to prevent skidding. 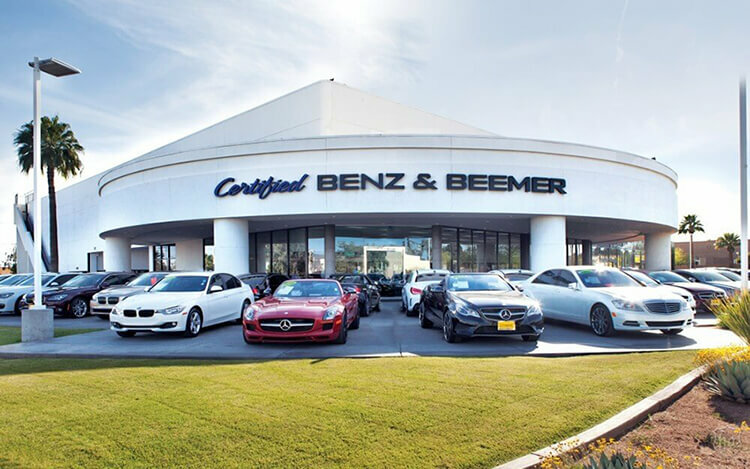 There are almost 8 times as many Mercedes dealers as there are Maserati dealers, which makes it much easier to get service under the S-Class’ warranty. J.D. Power and Associates rated the S-Class second among large premium cars in their 2010 Initial Quality Study. The Quattroporte isn’t in the top three in its category. On the EPA test cycle the S400 HYBRID gets better fuel mileage than the Quattroporte S (19 city/25 hwy vs. 12 city/19 hwy). On the EPA test cycle the S550 RWD V8 gets better fuel mileage than the Quattroporte S 4.7 V8 (425 HP) (15 city/23 hwy vs. 12 city/19 hwy). In an emergency stopping situation, many drivers don’t press the brakes with enough force to stop the vehicle in the shortest distance. The S-Class has a standard brake assist system to detect emergency braking situations (by how hard and how quickly the brake pedal is pressed) and then automatically apply maximum braking immediately in order to help prevent a collision. The Quattroporte doesn’t offer a brake assist feature. For better traction, the S-Class has larger standard tires than the Quattroporte (255/45R18 vs. 245/45R18). The S-Class’ optional front tires are larger than the largest tires available on the Quattroporte (255/40R19 vs. 245/45R18). The front and rear suspension of the S-Class uses air springs for a smoother, controlled ride than the Quattroporte, which uses coil springs. Air springs maintain proper ride height and ride more smoothly. The S-Class offers an available adjustable active suspension system, which counteracts cornering forces actively, limiting body roll and improving handling and stability. Maserati doesn’t offer an active suspension on the Quattroporte. The S-Class has a standard automatic front and rear load leveling suspension to keep ride height level with a heavy load or when towing. The Quattroporte doesn’t offer a load leveling suspension. For a smoother ride and more stable handling, the S-Class’ wheelbase is 4 inches longer than on the Quattroporte (124.6 inches vs. 120.6 inches). The S65 handles at .90 G’s, while the Quattroporte pulls only .83 G’s of cornering force in a Car and Driver skidpad test. The S-Class has 1.3 inches more front headroom and 3.5 inches more rear headroom than the Quattroporte. The S-Class has a larger trunk than the Quattroporte (16.4 vs. 15.9 cubic feet). The S-Class’ standard power windows have a locking feature to keep children from operating them. Maserati does not offer a locking feature on the Quattroporte’s standard power windows. Heated windshield washer fluid is standard on the S-Class to defrost the washer nozzles and quickly clear ice and frost from the windshield without scraping. The Quattroporte doesn’t offer heated windshield washer fluid. While driving with high-beams on, sensitive light sensors standard on the S-Class detect other vehicles which could be blinded and automatically switch to low-beams. The Quattroporte doesn’t offer automatic dimming high-beams. To shield the driver and front passenger’s vision over a larger portion of the windshield and side windows, the S-Class has standard extendable sun visors. The Quattroporte doesn’t offer extendable visors. To keep a safe, consistent following distance, the S-Class offers an optional Distronic, which alters the speed of the vehicle without driver intervention. This allows the driver to use cruise control more safely without constantly having to disengage it when approaching slower traffic. The Quattroporte doesn’t offer an adaptive cruise control. The S-Class’ standard separate stalk mounted cruise control is close at hand. The Quattroporte’s standard cruise control is on an over-crowded turn signal stalk. The S-Class’ standard GPS navigation system has a real-time traffic update feature that offers alternative routes to automatically bypass traffic problems. (Service available in a limited number of metro areas.) The Quattroporte’s navigation system doesn’t offer real-time traffic updates.